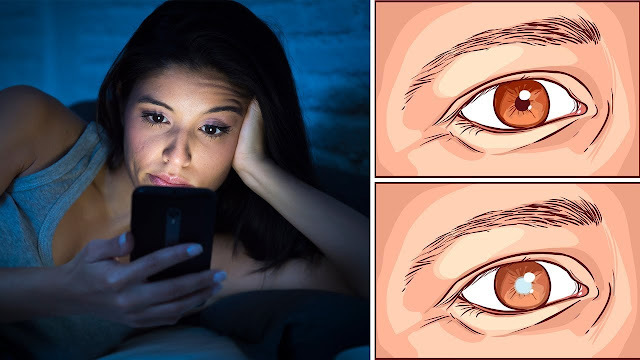 Uncategories 2 Serious Reasons Why You Need to STOP Using Your Smartphone at Night! 2 Serious Reasons Why You Need to STOP Using Your Smartphone at Night! Cell phones have become a fundamental part of our day to day lives. We use them to stay in contact with family and friends, for work purposes, to check social media, play games, read articles... basically for everything. They have even started replacing other objects like calculators, flashlights and cameras. It’s like they’re attached to our hands and we can no longer function correctly without We use them right after waking up and until moments before we go to sleep. But how is this constant exposure affecting us and our health? The longer cellphones are around, the more we know about them and what they can do to our health. We are just now being able to see some of the long term side effects of these tiny screens. We hear about how they emit radiation and that we shouldn’t sleep with them near us or keep them in our pockets because the radiation could affect fertility, but that's not the only health concern. Our cellphones, tablets, and laptops emit a “blue light” made up of blue wavelengths which can be great during they day because it’s been proven to increase our attention and improve our mood, but is actually harmful at night. It affects our sleep and our vision. Here are a few problems you might be having that might be caused by using your cellphone at night. “Blue light”exposure at night can cause digital eyestrain. The symptoms are irritation and difficulties focusing on objects in front of you. It can also cause damage to our retina cells, leading to macular degeneration. It has been proven that exposure to “blue light” at night can suppress the secretion of melatonin which is associated with sleep onset. A poor sleep schedule can cause many other problems that people rarely associate with sleep, such as: decreased reflexes, heart problems, depression, loss of short term memory, premature aging, and weight gain. Melatonin also helps protect our body from cancer, and a constant schedule could have very dangerous consequences.